Whenever I write a story on an American high jumper, long jumper or a discus thrower, I have to go through the painful back-and-forth conversion between feet and meters, inches and centimeters. It used to be the holy grail in the United States and Britain to run a mile in fewer than four minutes, until Roger Bannister broke it, which broke the mental barrier and allowed others to blast through the four minute wall. Today, however, no one really cares about the mile, as the standard racing distance is the 1,500 meters, which is a little less than a mile. Now, track and field in the US has generally gone metric. For example, the USA Outdoor Track and Field Championships hold the same distance running events that other countries do: 100 meters, 800 meters, 5,000 meters, 110 meter hurdles etc. In fact, the organization, USA Track and Field, adopted distances using the metric system in 1974. They were ahead of their time apparently, because in 1975, the US Congress passed an act that states preference for the metric system of weights and measures, which was followed by an executive order from President Gerald Ford. Essentially, the entire world had already adopted the metric system. Politicians and businessmen alike wanted the US to get with the international game plan. However, for some reason, probably related to a tremendous resistance to change, the act and the order watered down by stating adoption was voluntary. But abandoning the U.S. customary system did not sit well with a lot of people, including and influential group of “astronomers, theologians, and cranks,” Mihm explains. “And keep in mind that those categories which we consider separate and distinct today were not at this time.” This group spun together scientific arguments with other wild and nonsensical ideas, and developed a theory that to abandon the inch was to go against God’s will. Converting to metric, they argued, would be tantamount to sacrilege. But the real core resistance to metrication came from a different group entirely: some of the most innovative industrialists of their day. Engineers who worked in the vast machine tool industry had built up enormous factories that included everything from lathes to devices for cutting screw threads — and all of these machines were designed around the inch. The manufacturers argued that retooling their machines for a new measurement system would be prohibitively expensive. They also argued there was an “intuitiveness” to the customary system that made it ideal for shop work. In 1983, an Air Canada Flight ran out of fuel mid-flight because the ground crew and the flight crew all calculated fuel requirements in pounds instead of liters, granted this mistake happened just after the Canadian government required conversion to the metric system. Fortunately, the pilots managed an incredible “dead-stick” landing, gliding safely to a nearby airstrip. In 2003, a car on the Space Mountain roller coaster ride at Tokyo Disneyland derailed due to a broken axle, resulting in the injury of 12. Apparently, new axle parts ordered in 2002 were measured in inches as opposed to millimeters, making the new axles off spec. In the end, there are bigger issues than the momentary confusion of trying to know how far 5,000 meters is in feet or miles. And to be fair, American institutions have gradually adopted the metric system due to its partnerships and obligations internationally. And yet, the fact that America still clings officially to inches, quarts and Fahrenheit can be a pain. Don’t we know that we are shooting ourselves in the foot? It is so hard to find footage of the 1964 Tokyo Olympics, beyond a few newsreel samples and clippings from Kon Ichikawa’s documentary of the 1964 Olympiad. One of the few, great samplings of footage from the 1964 Olympics is a film produced by George and Lilian Merz, amateur filmmakers. Not only do you get to see a few great events and athletes, you get a feel for the atmosphere in Tokyo and in the stadiums. Part 1 of this breakdown of the Merz’s documentary focuses on the athletes and the competitions. Part 2 focuses on the opening and closing ceremonies, as well as things happening beyond the cut-throat world of high performance competition. The numbers below are the minute marks of the video where you can find what I am describing. 100-Meters Men’s: 8:51 – Watch Bob Hayes in the first semi-final heat of the 100-meter spring in lane 6. You can see Bob Hayes again at the 24:33 mark in this exciting 4X100 meter finals, with Hayes coming from behind to win gold for the US handily. 100-Meters Women’s: 14:17 – Wyomia Tyus wins 2nd heat of 100-meter sprint in a spirited race. 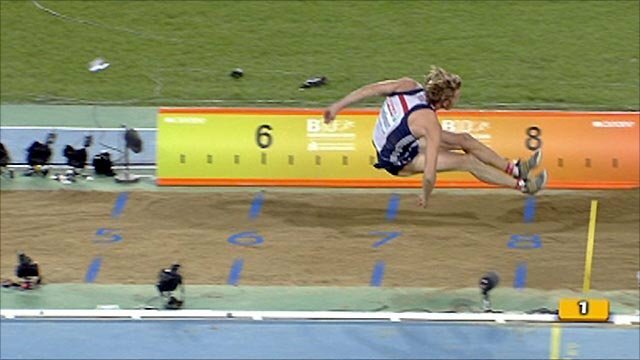 80-Meter Hurdles Women’s: 17:56 – Men and women run hurdles on a slick track. The Merz’s show footage of a Canadian woman being carried off the track. They call her “Miss Wengerson”, but I suspect it is someone named Marion Snider of Toronto, whom I wrote about here. The film returns to the women’s hurdles at the 20:44 mark. 800-Meter Women’s: 21:45 – Great footage again of the women’s 800 meters final, with Ann Packer taking gold, coming from behind to win. 1500-Meter Men’s: 23:27 – Here we can see double-gold-medalist, New Zealand’s Peter Snell, winning the men’s 1500, going from last to first. The race started in misty, low visibility conditions, but by the end of the race you can see Snell victorious by 10 meters. 5,000-Meters Men’s: 18:31 – Great film of the rain and slick track that Bob Schul and other 5000 meter runners had to deal with, as well as Schul’s great streak at the end to win gold. 10,000-Meters Men’s: 6:30 – The Merz’s spend their greatest length of footage on the incredible 10,000 meter race, which Billy Mills won in a surprise finish. The film goes on to show IOC president, Avery Brundage, awarding Mills with his gold medal, kimono-clad medal bearers behind Brundage. 20K Walk Men’s: 10:14 Here is the start of the 20K walk, with the finish at the 11:37 mark, Brit Ken Matthews emerging victorious, whose victory hug of his wife captured the hearts of the Japanese. Pole Vault Men’s: 9:13 The Merz’s spend time watching pole vaulters warming up and practicing, with a bit of slo mo. Discus Throw Men’s: 11:18 – Here’s footage of the men’s discus competition, including US Olympic legend, Al Oerter. Shot Put Women’s: 19:48 – Day Five brought great weather, and the Merz starts with women’s discus throw. You can see the only American women’s shot putter, Olga Connolly, at the 20:19. For some reason, Merz calls Connolly Polish born, when actually she was born in Czechoslovakia. High Jump Men’s: 25:03 – Here’s footage of the men’s high jump competition, featuring Valery Brumel and John Thomas. Equestrian Jumping: 26:18 – Here’s something I hadn’t realized. One of the equestrian events were at the National Stadium, not at the venue in Karuizawa. The infield were set up for the complex set of jumps for the Grand Prix Jumping competition. The IOC sought to inject youth and improve gender diversity into the 2020 Tokyo Olympics by adding events, while keeping the total number of invited athletes the same. In addition to the five new sports added in August, 2016 (baseball/softball, karate, skateboarding, sport climbing and surfing), the International Olympic Committee (IOC) announced the addition of 15 new events to existing sports. And yet, to keep to a limit of 11,090 total athletes at the 2020 Tokyo Olympics, cuts had to be made. The IOC made decisions that resulted in the elimination of 285 quota slots for various sports. Much of this was driven by a need to improve gender ratios, particularly in sports like cycling, judo, rowing, sailing, shooting, swimming and water polo. But the biggest losers? Wrestling with 56 cuts, weightlifting with 64 and athletics with 105 cuts. Perhaps messages are being sent. Wrestling was actually dropped from the Olympic menu of core sports in February, 2013 because the rules were considered vague. Wrestling’s scoring system was too difficult to understand, which in turn made it difficult to engage the average television viewer. Somehow, through significant lobbying efforts, wrestling was reinstated as a non-core sport for the 2020 Games, but the latest decision to cull the wrestling numbers may be a reminder that wrestling has to work at its game. Athletics, with its high profile events and global track stars, also suffers from a deep and dark history of doping. Most recently, the IAAF banned the entire Russian track and field team from the 2016 Rio Olympics. All of this may have made it easier for the IOC to prioritize cuts in athletics. In the men’s 94-kilogram class at the 2012 London Games, Poland’s Tomasz Zielinski finished ninth. A disappointment, to be sure, but Zielinski was eventually awarded the bronze medal after six of the lifters ahead of him failed drug tests. Wonderful story, right? Not so much. Zielinski, who obviously didn’t win a medal for his ability to learn from other’s mistakes, was kicked out of the 2016 Rio Games when one of his own tests came back positive. 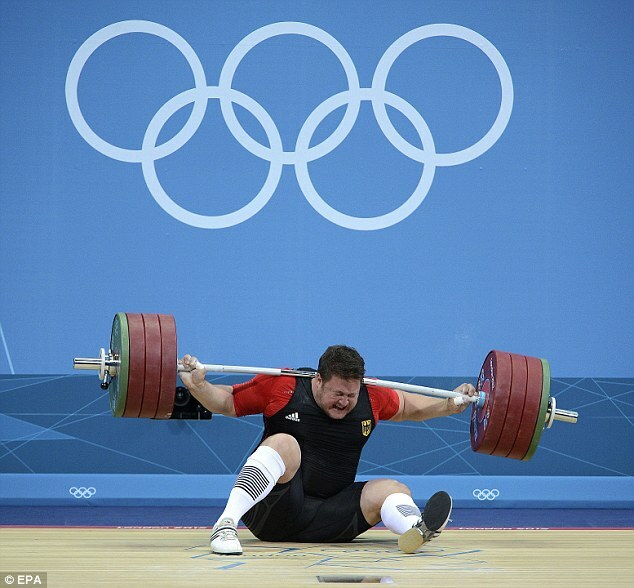 Bach called weight lifting’s punishment in Friday’s reordering of the Games “a strong signal” to the sport. Good for him. Standing up to cheaters, and meting out real punishment, is common sense. If one sport’s athletes can’t follow the rules, other athletes from other sports should get a chance. Imagine if we had the 4×400 Mixed Relay at the Rio Olympics. Imagine 400-meter bronze medalist LaShawn Merritt passing the baton to 400-meter gold medalist, Allyson Felix, for the finish. At the Tokyo Olympics, we no longer will have to imagine as the International Olympic Committee (IOC) announced on June 9, 2017 the addition of 15 new events for the 2020 Games, including the 4×400 Mixed Relay track event. Along those lines, the IOC has worked towards ensuring equality in Olympic events by ensuring that there are no events that only men compete in, or only women compete in. For example, the IOC announced the addition of the men’s 800-meter freestyle swimming and women’s 1500-meter freestyle swimming to balance out the gender ledger. And with the elimination of a men’s weightlifting class, and now ensuring that canoeing, rowing, shooting and weightlifting have equal number of men and women participants, the Tokyo2020 Olympics will approach a 50:50 male:female athlete representation. Considering that women made up 44.2% of athletes at the 2012 London Olympics and 45.6% at the 2016 Rio Olympics, getting to nearly 50% by 2020 is impressive. Additionally, the Games will be reinvigorated with the mixed competitions. In addition to the 4×400 mixed relay footrace, the IOC is adding a 4×100 medley mixed swimming relay, a mixed archery team event, a mixed judo team event, mixed fencing team events, mixed doubles table tennis and, intriguingly, the mixed triathlon team relay. Watch the video for a fascinating look at what happens when women and men compete against each other in a relay race, particularly in the third and fourth legs. Who’s in? Who’s out? The very political decision making process for which Russian athletes are considered eligible for the Rio Olympics or not has changed yet again. 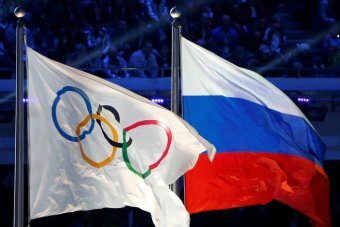 As most of the sporting world is aware, the World Anti-Doping Agency (WADA) issued a report recommending that the entire team from Russia be banned from the upcoming Rio Olympics. The International Olympic Committee, which originally had the final thumbs-up, thumbs-down accountability on who gets to participate in the Olympics, decided to defer judgment on Russian eligibility to the international sports federations. This created chaos as, frankly, with less than two weeks to go, the various federations, some supremely under-resourced, have to make a well-researched decision on who to ban or not to ban. Many have criticized that decision. And as can be expected, decisions on Russians allowed to compete are inconsistent. In this great summary by ABC News of Australia (as of July 27), the IAAF has banned all track and field athletes, as has the International Wrestling Federation. The World Rowing Federation has approved 6 for participation, but banned 19. The governing body for badminton (BWF), the International Judo Federation and the governing world body for volleyball, FIVB, have essentially cleared all of their eligible Russian players to compete. As of this writing, the current estimates for Russian competitors at the Rio Olympics is more than 200, according to the Daily Mail. However, on July 30, the IOC, likely buckling to criticism, decided to set up a three-member panel that will ultimately decide on Olympic eligibility, based on recommendations from the federations. The IOC spokesperson said that the process would be completed by August 5, which also happens to be the day of the Olympics opening ceremonies. One person of note who will not be competing – Yuliya Stepanova. The athlete who risked her career, and perhaps even her life to help blow the whistle on the Russian state-sponsored doping and cover-up operations by talking with journalists and WADA was ironically banned. The IAAF, which has been hawkish in banning Russians from international competition, recognized the bravery and impact of Stepanova by approved her competition in the Rio Olympics as a “neutral athlete”. Despite that, the IOC decided to ban Stepanova from competing for her failed drug tests in the past, while conveniently dropping its accountability, casting a blind eye in all the other cases by allowing a third party to determine Olympic eligibility. By the way, the honorary president of the International Judo Federation is Russia’s President Vladimir Putin. Say it ain’t so! I really want to see Bolt racing in the Rio Games. I hope he recovers in time. Bolt reportedly could still be named to the Olympic team. There is something visceral about the javelin throw. After all, it was one of the few Olympic events that harken back to ancient military weaponry. There is also something quirky about the javelin throw. In this wikiHow page on how to throw a javelin, you can see that a javelin thrower runs with his body facing sideways and the upper half of the body learning away from the direction the athlete wants to throw. But for whatever reason, the best javelin throwers have hailed from the Scandinavian nations of Finland, Norway and Sweden. In fact, out of a total of 72 javelin Olympic medalists since 1908, 32 or 44% have gone to throwers from Scandinavia. The site Peak Performance makes an attempt to provide reasons for Finland’s dominance. Theory #1 is that the javelin throw was Finland’s everyman’s sport, according to the same site. Theory #2 is the cold dark climate of the area. In this case, the writer refers to Finland. Theory #3 is a corollary on Theory #2, in that the reserved nature of the Finns provides a firm launching pad for explosive throws. The site quotes 1964 Olympic champion, Pauli Nevala. Whatever the reason, the Scandinavian hotbed is still hot! Of the nine javelin medalists in the past three Summer Games, four have been from Norway and Finland. The photograph of Jonni Myyr… (the winner), flanked by his countrymen Urho Peltonen, Paavo Johansson-Jaale and Julius Saaristo, remains one of the defining moments of Finnish sport. The newspapers called him “The Flying Sikh”. On top of that, the sprinter from India was sporting unusually a beard and a topknot on his head. 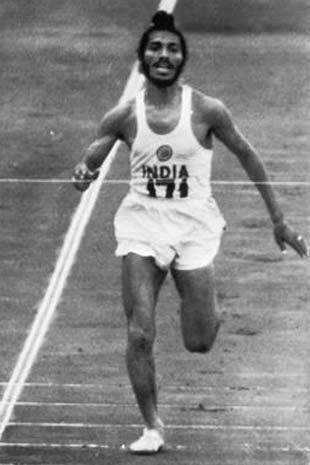 Most significantly, Milkha Singh was fast! It was the finals of the 400-meter race at the 1960 Rome Olympics, and the international press gave Singh a chance at being a rare track and field champion from Asia, certainly the first from the newly independent nation, India. As David Maraniss describes in his book Rome 1960, Singh burst out of the blocks in lane 5 in the finals of the 400 meter race in the 1960 Olympics, keeping pace with South African Malcolm Spence in lane 3. Halfway through the race, Singh very much had a chance at gold. But as they entered the second half of the race, American Otis Davis and German Carl Kaufmann began to emerge from the middle, and surge to the front. They pulled away from Milkha and Spence. At the end, Davis barely edged out Kaufmann. And despite a desperate push, Singh could not wrestle the bronze from Spence. It was fourth place for Singh, finishing out of the medal, but entering into the consciousness of Indians, a symbol not of failure or misfortune, but of how hard work can take an Indian to world-class levels. And in the scheme of things, Singh’s life experiences as a child pale in the face of the challenges he faced in Rome. When the British Indian Empire fell, and the state of Pakistan was split off from India, primarily to create separation between Hindu and Muslim populations. The so-called partition, a mass migration of Muslims into Pakistan and Hindus and Sikhs into India, was a time of tragedy, when neighbor set upon neighbor, when families were split, and people were murdered depending on what religious beliefs they were believed to hold. Milkha Singh witnessed this first hand in his home, which was located in the nation that became Pakistan. Driven from his town, his family joined the migration. Inevitably, the family encountered the hatred head on, and Milkha witnessed the deaths of his parents and his siblings. An orphan, separated by surviving family members, Milkha made his way across the border into India. Soon after the Rome Olympics, when Singh returned to India a star, he was asked by the Indian government to participate in a track competition in Pakistan. And Singh refused. It is the kind of script that could only appear in a movie. And of course, this was the dramatic finish to the 2013 movie, Bhaag Milkha Bhaag (“Run Milkha Run”), starring Farhan Akhtar, who does actually look like Milkha Singh in his youth (although far more muscular). In the end, the prime minister of India appeals to Milka Singh’s responsibility as a soldier of India to defend his country’s honor at this track meet in Pakistan. In reality, very little time has passed since the Partition. Milka Singh did indeed run, as the film would have you believe, from the ghosts of his past, from his Pakistani rival, Abdul Khaliq, and find, perhaps, a peace within himself. Singh would go on to compete. He appeared in Tokyo at the 1964 Summer Games, running in the 4×400 Relay, but unable to help his team beyond the heats. He was apparently an inspiration to the British champion, Ann Packer, whom he greeted with warm confidence before the 1,500 meter finals, telling her she would win, and she did. More importantly, Singh continues to inspire and make an impact. While he reportedly sold the film rights to his story for one rupee, he stipulated that a share of the profits would be given to the Milkha Singh Charitable Trust, which assists poor and needy sportspeople. Here is the final scene from the Rakeysh Omprakash Mehra film, Bhaag Milkha Bhaag in which Singh triumphs in Pakistan. She was the best, holding the world record in the women’s javelin throw from May 1960 to October 1964. Elvira Ozolina, the native Latvian who was representing the Soviet Union at the 1964 Olympics, was primed to repeat as Olympic champion in Tokyo, after taking gold in Rome in 1960. However, you have to play the game as they say. And when the competition ensued, Romanian Mihaela Penes threw nearly 7 meters better than Ozolina to win the gold medal. Ozolina threw poorly, and the Rome Champion landed in fifth place. Then the rumors began to swirl. The US wire services filled newspapers across the country with this story from AP. So did she, or didn’t she? As they say, only her hairdresser knows for sure.